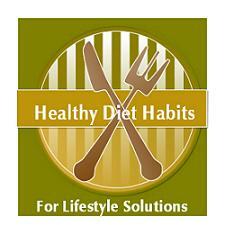 Overcoming Stress Weight Gain by developing Healthy Diet Habits is a Must! Overcoming stress weight gain by developing great healthy diet habits is a must for those of you that are trying to control your weight! Prolonged stress can contribute to weight gain. You need to develop Lifestyle Solutions that will help you to fight stress rather than eating. Eat a healthy breakfast as this will lead to eating almost 300 calories less per day! Follow the hunger chart and make sure you are eating for physical reasons rather than emotional ones. Put a sign in your cabinet that says, “Are you eating because you are hungry, stressed, trying to not deal with your feelings, or are you bored?” Unless you are hungry, close the cabinet door and slowly walk away! Decrease coffee consumption and increase water, green tea or sparkling waters. Eliminate all caffeinated colas or energy drinks. Leave healthy snacks at work, in your car, and in your purse. Healthy choices like nuts, fruit, granola bars or your favorite healthy choice. Plan ahead! Try to eat smaller meals and include two or three snacks (mini meals) to keep your blood sugar under control. This will also keep your hormones in better balance and you will physically feel better. Eliminate processed foods and foods that contain chemicals. These foods can upset your hormone "leptin", which suppresses your appetite. You will eat more. Stock different mindless munching snacks. Decrease eating chips, cookies, cakes, chocolate, browning and any of your favorite munching buddies. Stock up on fruits, veggies, air popped popcorn, or what you love that is nutrient dense, but not calorie dense! Take a healthy lunch to work so fast food will not be so tempting. There are many grab and go foods that are healthy. Costco has proportioned hummus packs and cut up veggies. Use nitrate free low fat meats for sandwiches, and soups and salads are healthy choices. Only drink a small amount of caffeine early in the day as it will interfere with your sleep and lack of sleep leads to weight gain also. Clean your house of all junk foods, and hidden stashes and get rid of any foods that cause temptation or are trigger foods for you. It is a great idea to trade with a friend and clean out each other’s cabinets, as it is easy to hold on to your secret stashes. Your friend will be more brutal. Remember six extra bites per day, can add 15 pounds to your weight in a year. And in 10 years that would be 150 extra pounds. Obesity is not necessarily from grossly overeating. Do not buy your favorite trigger foods. It is much easier to pass by trigger foods in the store than in your home. For some reason when you bring them home, they develop an ability to actually chat with you and call to you! Weird how that works! These are just a few of the healthy diet habits that you can develop to help with overcoming stress weight gain. Make these Lifestyle Solutions and find ways to alleviate stress rather than eating.